Management is a universal process in all organized activities. Whenever there is certain number of people working together for a common goal, some kind of management becomes essential. Without a proper management, the organization can not work properly. So, the organization need someone to manage the organizational activities. The direct effort of a personnel toward the acheivement of goals of organization is management. Personnel : It is a person who is respon sible to manage the organization or office. It is the main element among this component. There should be sufficient number of trained personnel. The office personnel must be selected properly , placed, trained, promote ane controlled for the purpose of accomplishing desired goals. Means : Means are the tools with the help of which official activities are done or performed. 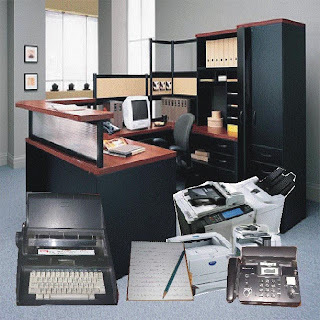 It include the materials , machines, and equipment required by the office personnel or for office work.If the office is not provided with the appropriate means, it is very difficult to manage the organization properly. Environment : Environment plays an important role for managing the office and for efficient and effective office work. It means the sorrounding where emplyees work. It include the factor like layout, interior decoration, lighting, vantilation , cleanlines etc. Purpose : An office has to set up definite purpose. The purpose purpose of the office provide direction and guidelines to other activities. If the purpoise of the office is cleared then efforts and activities can be directed in its acheivement. So, office management is a distinct purpose of planning , organizing , staffing , directing , and controlling office work in order to perform office work efficiently and effectively to avheive the objective of the organization or enterprise.